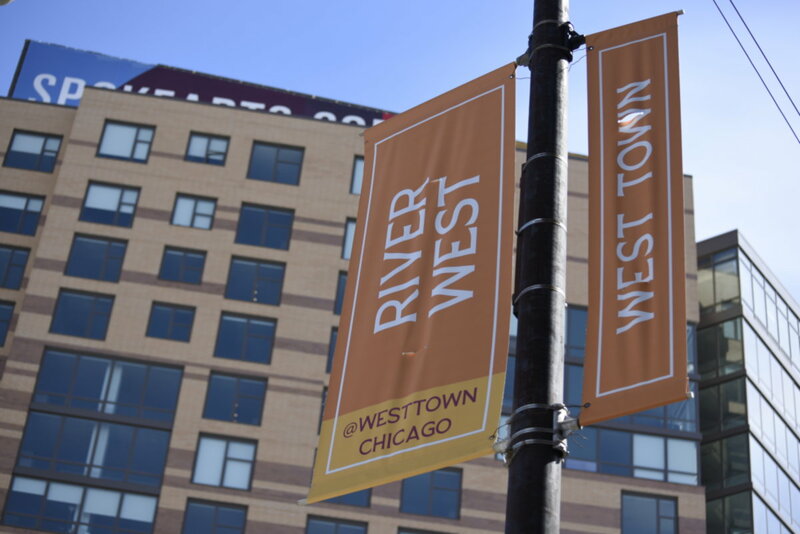 2018 has been a big year for River West between the successful lease up of Spoke, a mixed-use, two-tower high-rise, the approval of 742 N. Aberdeen, a 188-unit rental building, and the groundbreaking of The Mill luxury apartments. 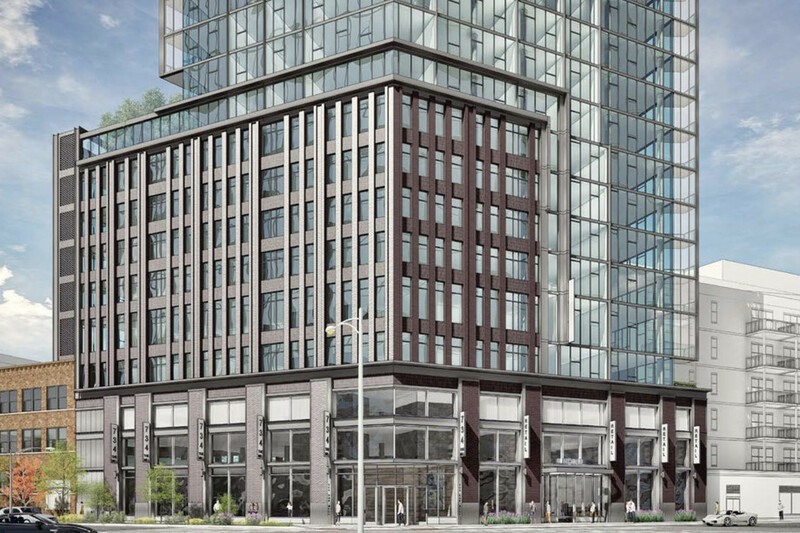 The Mill luxury apartments are under development at the corner of Milwaukee Avenue and Carpenter Street and is expected to be 23 stories upon completion in quarter four of 2019. 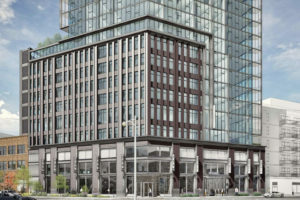 The glass and brick River West high-rise will include 226 apartment units, 97 parking stalls, and 2,300 square feet of retail space. 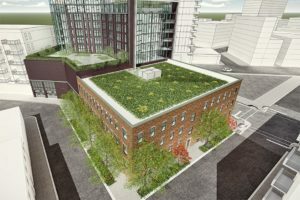 Like Spoke and 742 N. Aberdeen, The Mill will be a transit-oriented development, less than a block from the CTA Blue Line. 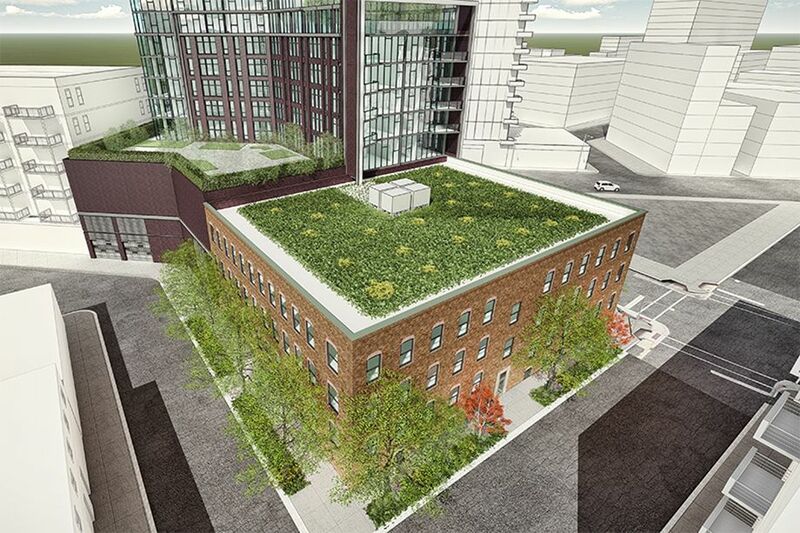 Although there is much about this River West development that has yet to be announced, early renderings suggest that The Mill will be an amenity building with plenty of rooftop green space. 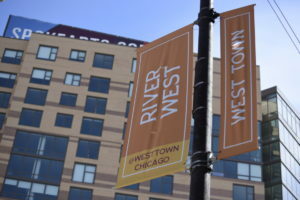 River West residents love the neighborhood’s central location. The neighborhood is known as being home to part of Chicago’s newest and most vibrant dining scene. A local favorite is The Dawson, which brews its own in-house liquors and serves innovative takes on old fashioned favorites, like chicken-fried lobster and offers a laid-back, trendy vibe and weekly specials. In addition to being walking distance from the downtown Loop and River North areas, commuters can opt to take the CTA blue line L downtown or directly to O’Hare International Airport. Nearby Union and Ogilvie Stations go to the southern, western, and northern suburbs via Metra Trains and to several states around the country via Amtrak trains. The Kennedy expressway is also blocks away for those who prefer to drive.